A child’s bedroom is a haven from the outside world. 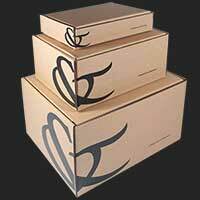 It should reflect their tastes and interests, accommodate their hobbies, and engage them mentally. It’s also smart for it to feature furniture that can grow alongside your child, as well as include plenty of storage to keep the room clean and tidy. Sound complicated? Don’t worry. We’ve compiled our five most important parts of decorating a child’s room to help you create a place they’ll love to study, play, and sleep in. The colours and textures you choose for a child’s bedroom will help set the entire atmosphere and theme. 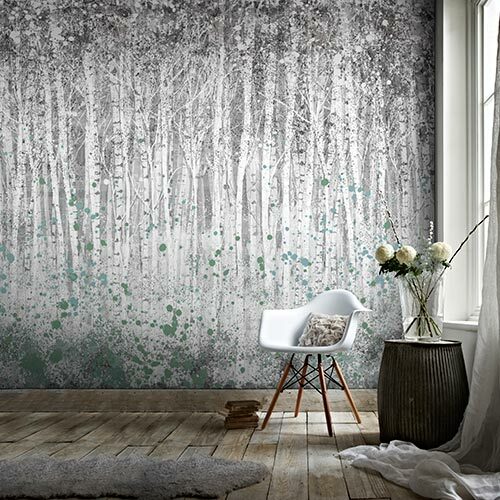 Consider keeping much of the room plain using light pastel shades of green, blue, or pink, then make a dramatic statement using an eye-catching wall mural. 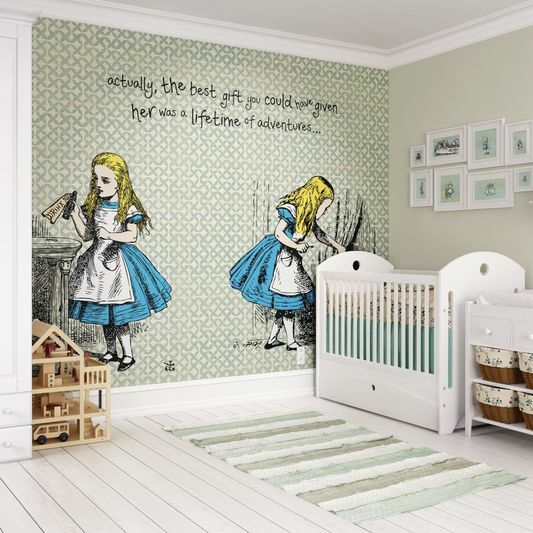 Wall murals can be applied as easily as wallpaper, but can be used to reflect your child’s interests – whether that’s Alice in Wonderland, Marvel’s superheroes or Disney princesses. They’re a great focal point, and a simple yet effective way to inject personality into a room. We all had bedding from our childhood we remember fondly. Whether it was because it was super snuggly, or because it featured our favourite animal or character, bedding is an important part of a child’s room. You can choose a bed set that ties into a room’s overall theme, such as our Olive the Owl set. 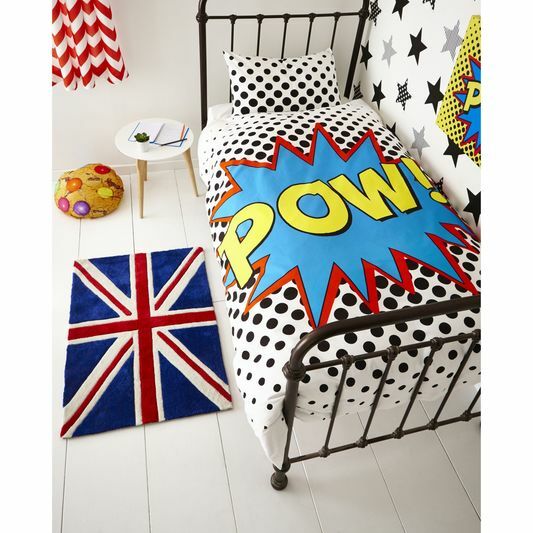 Others work well alone, like the Superstar duvet set; it’s bold enough to make a statement your kids will love, but won’t look out of place in a room that doesn’t have a consistent superhero theme. Borders can be used in almost any part of the bedroom to create a simple, clean, and unique aesthetic for a children’s bedroom. 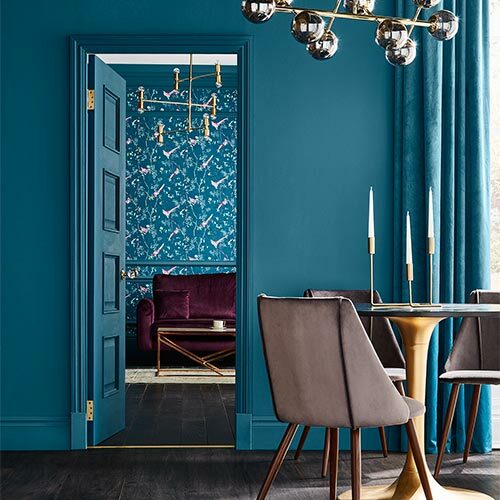 Try them across the centre of the room to connect two different wall colours, or even along the top of the wall flush against the ceiling for something subtler. Border patterns range from cute to vintage to bold; the Teddy Bears Borders is ideal for younger children thanks to its adorable design, while the Mickey Mouse Vintage Border is a quirky addition to a child’s or teenager’s bedroom. Light is an important part of any room, but is particularly vital for a kids’ room. Whether they need a night light to help them feel safe, or a bright bulb that helps them read and play clearly, the light fixtures you choose can make a big impact. 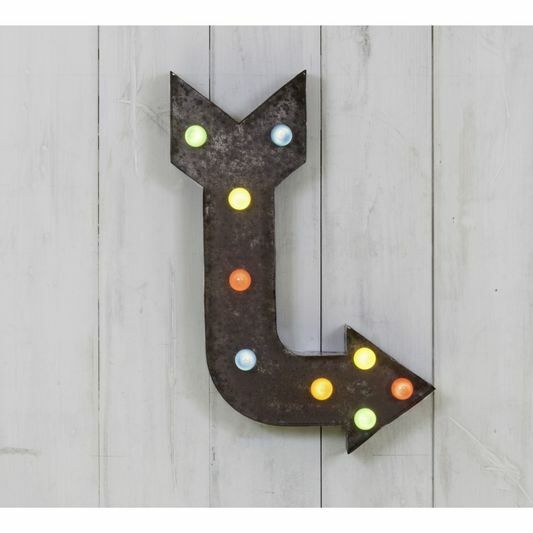 A fun night light that also serves as a great piece of decoration during the day is the light arrow lighting. It glows in various fun colours when switched on, and looks stylish when turned off. 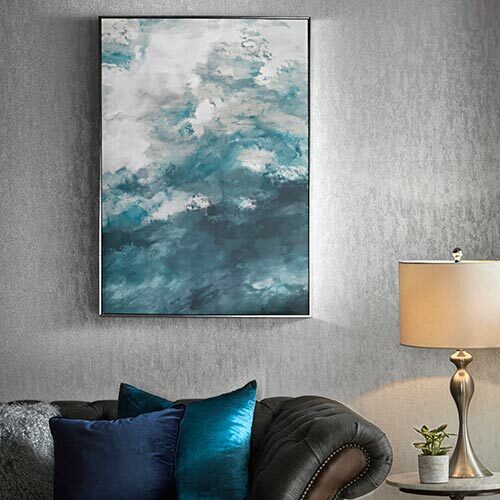 For ceiling lights that look as cute as they are practical, the cloud ceiling light is another great choice. It’s subtle enough to suit most bedroom themes, while being a fun design children love. 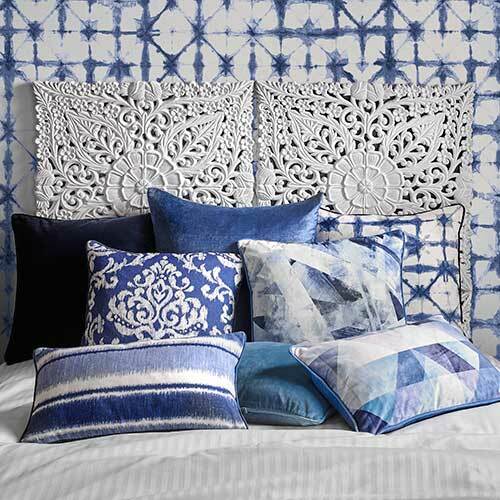 For the final finishing touch in any room, nothing works better than carefully selected cushions. Children’s cushions help to add that last fun flourish, and the perfect selection could be as beloved as a favourite teddy bear. 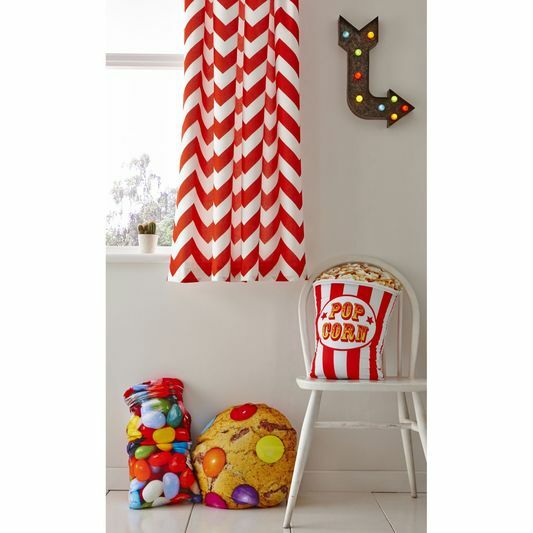 For a striking sweet treat theme, kids will adore the choc chip cushion and popcorn cushion. These large pillows make a real design statement, and kids will love to prop up on them during movie night! Decorating a child’s room in a way both you and they will like can sometimes feel like a mine field. Just break down the elements and you can easily create a fun, relaxing space you’ll each love. Take a look at the full selection of children’s rooms accessories, or browse our other inspiration posts, for even more ideas.